BY CAR: The A14 connects Bologna, the meeting point of all roads from the north, the Adriatic coast and to the Catholic. Exit Catholic – St. John M. – Gabicce Mare. From south to follow are Taranto, Pescara, Ancona, Pescara and Rome..
BY TRAIN: The Italian railway network allows you to reach our town from all the Italian and European cities. 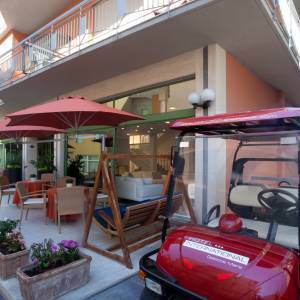 The railway station of Cattolica – Saint John M. – Gabicce is only 1 km from the town center. Exit there are taxis and buses. BY PLAN: Bologna airport is 120 km from Cattolica, is served daily from many national and international. Ancona Airport at 90Km from Gabicce Mare is connected with domestic flights to Rome and Milan. Rimini Airport is 20 miles from Cattolica.